Many of us drivers don’t even think of changing a car tire before anything like swerving or wearing take place. You know how much risks you are carrying in this way. Anytime and anywhere, you can have a flat tire or a tire blowout out of nowhere. So, better be conscious of the tire durability and change it as long as it demands to. In this article, today, we will focus on the checklist to know whether you need to change a car tire or not. No matter how old or new the tires are, it’s good to keep all these factors in mind. Hold tight and let’s start. The poor thread wire of the car. They are the foremost enemy of a good and durable tire. The age of the tire plays another big role. Your tire would be given an estimated lifespan and you should change the tire before it. This would prevent any potential risk. Bad road conditions. The list includes obstacles, sharp objects, potholes, curbs and risky speed bumps. A number of bad driving habit. Uneven speeding, emergency braking, quick starts, imperfect repairing etc. Some environmental factors. Such as the temperature, snowfall, rain, presence of oil, grease etc. In the previous section of the article, we’ve highlighted some factors that relate to the car’s performance and durability. But somehow, if you’re having a doubt on the car’s state, we have a checklist for you. If the threaded hole is not deep enough. Usually, a threaded hole deeper than 6mm in diameter is safe. Also, check out the recommended the thread depth level from the tire manual. Keep an eye to prevent your tire getting damaged by any obstacles. We’re talking about the external factors that can be a direct threat to the tire. 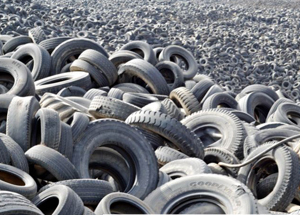 The threats can be rocks, nails, sharp objects, damages areas of the tire, damaged valve caps etc. 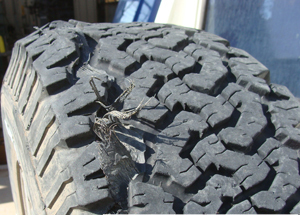 One of the foremost safety indicators of regular tires is the Thread Wear. You can’t leave it in poor condition because that indicates how safe or risky it will be in several conditions. With a good thread of the tire, the tire is likely to grip the road more. On the contrary, with a worn or poor thread, the car is at ample risk of adverse weathers. There is a funny but yet, effective method of checking out your car tire’s tread wear. Take a coin and place it on a number tire grooves and check out. If you can see Lincoln’s head appearing, you may have a poor and worn car tire. Apparently, if the part of Lincoln’s had been always covered by the thread of the tire, then it’s good. Your car has still a good thread wear and it’s ready to run in any condition. To understand how good the tire condition is, knowing the age is very important. Apart from the thread wear, there is a predicted lifespan of a tire of 6 years. Although this recommendation varies a lot from manufacturer to manufacturer. We suggest you know the predicted lifespan from the tire manual. Anything nearby can be the time when you have to replace the tires. I prefer westlake tires for my personal use. Although, many of us may disagree with me. But I think a poor tire can be sensed pretty much right from the steering when you’re driving. A smooth ride sounds okay. But if you feel the ride to be rough and rougher, there is a good chance of one of the tires getting down slowly. Also, a number of disturbance like vibration, reduction in speed or something similar, there may be a problem in the tire. What I recommend to do is, to slow down the car and take it to a car mechanic’s shop. 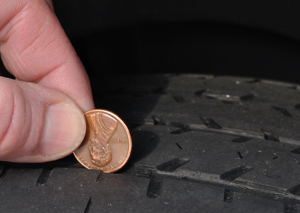 Inspect your tire to check whether the problem is on the tire or something else. The air pressure of tires. The rotation and axis alignment. There can be a long checklist of maintaining healthy tires, and to change if necessary. But from my perspective, this depends on the driving sense actually. If there’s any potential threat in the car tire, an experienced driver can always sense it while driving. And for safety, do regular checkups of the tire yourself. And keep an eye on the age of the tire.